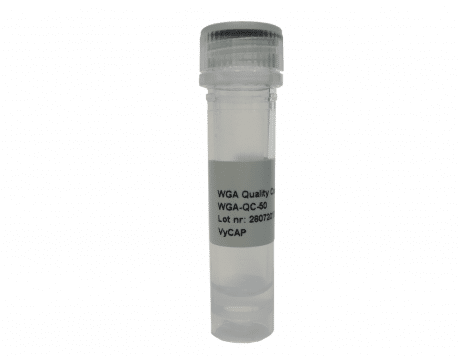 The WGA Quality Control mix is a PCR-based assay to determine DNA quality of the WGA product of single cells. The quality of the product is determined by the presence of 10 DNA fragments in the WGA product. The product is used as part of the VyCAP protocol for single cell DNA analysis. 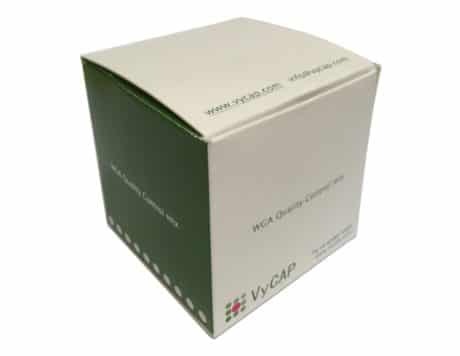 VyCAP has established WGA protocols for both live and fixed cells using the Repli-G kit of Qiagen and the AMPLI-1 kit of Silicon Biosystems. The quality of the WGA product using these kits is determined by using VyCAP’s WGA Quality control kit.